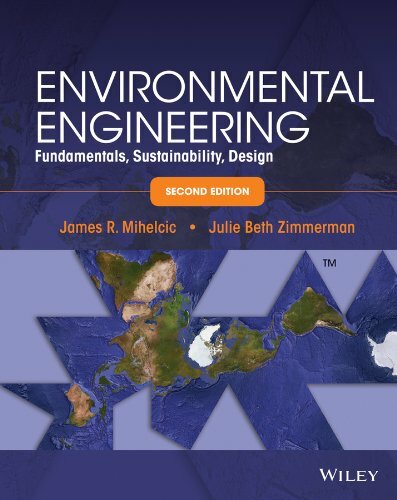 Environmental Engineering: Fundamentals, Sustainability, Design presents civil engineers with an introduction to chemistry and biology, through a mass and energy balance approach. ABET required topics of emerging importance, such as sustainable and global engineering are also covered. Problems, similar to those on the FE and PE exams, are integrated at the end of each chapter. Aligned with the National Academy of Engineering’s focus on managing carbon and nitrogen, the 2nd edition now includes a section on advanced technologies to more effectively reclaim nitrogen and phosphorous. Additionally, readers have immediate access to web modules, which address a specific topic, such as water and wastewater treatment. These modules include media rich content such as animations, audio, video and interactive problem solving, as well as links to explorations. Civil engineers will gain a global perspective, developing into innovative leaders in sustainable development.